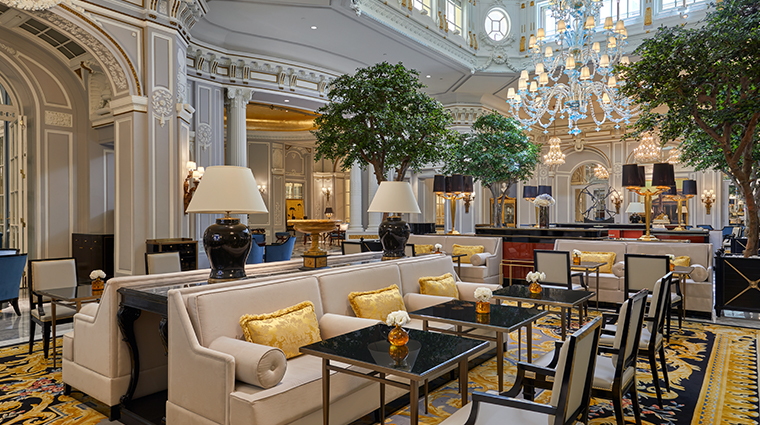 The St. Regis Rome is a gilded landmark hotel that has held court in the heart of the ancient city since it was founded in 1894. 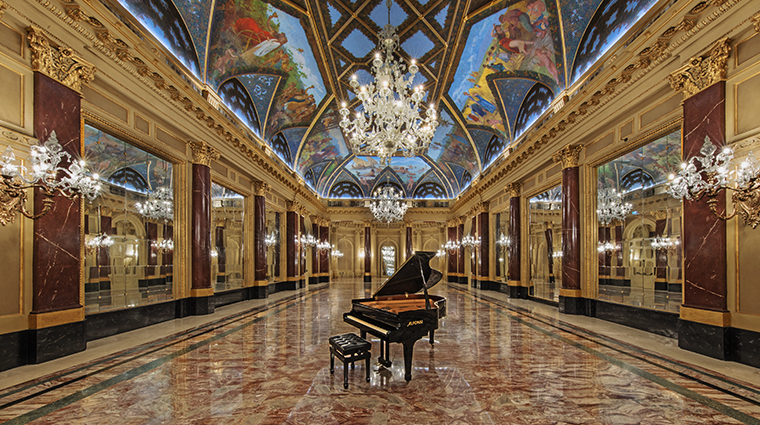 It’s filled with opulent ornamentation — Murano glass chandeliers, marble columns, hand-painted frescoes, rich velvet divans — that intermingle in every room and hall. Tuxedoed doormen and service staff are on call all hours for any request. 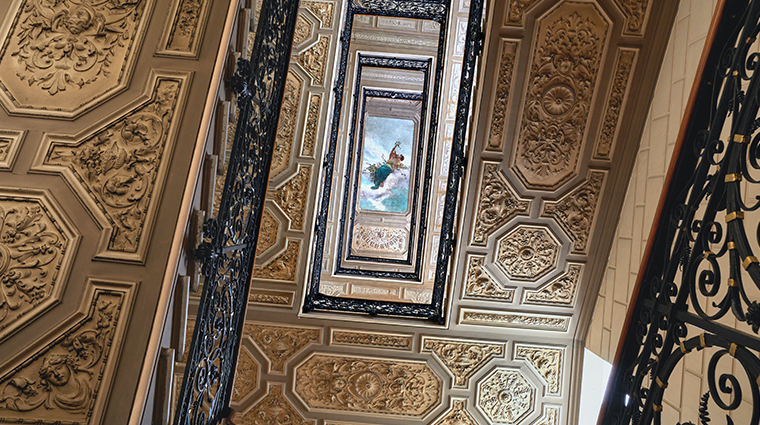 Charming historical touches abound, such as the hotel’s late 19th-century wrought-iron elevator, one of Rome’s oldest functioning lifts. 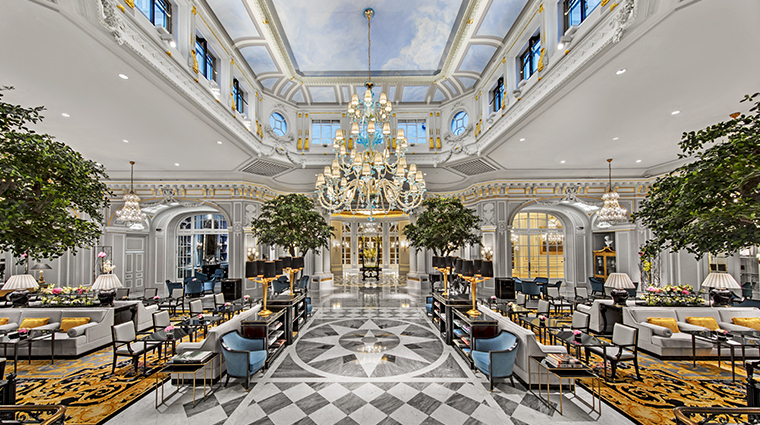 In December 2018, the historic hotel debuted a 40 million euro renovation from renowned interior design firm Pierre-Yves Rochon Inc. With refreshed public spaces (including a chic cocktail bar and sapphire-blue Library), re-imagined guest rooms and suites and a beautifully curated art collection, storied The St. Regis Rome steps stylishly into the 21st century. 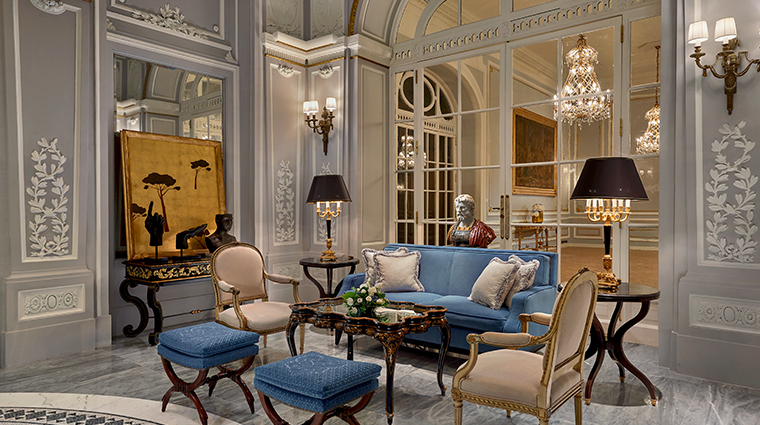 The St. Regis Rome impresses from the moment you step into the recently refreshed, palatial lobby. 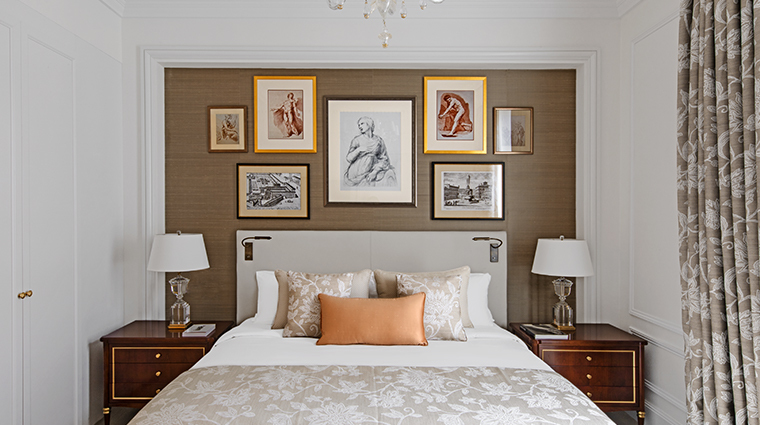 A regal palette of gold and black adds a modern flair while classic materials like travertine and bronze remind you that you're staying in the heart of Italy's ancient capital. 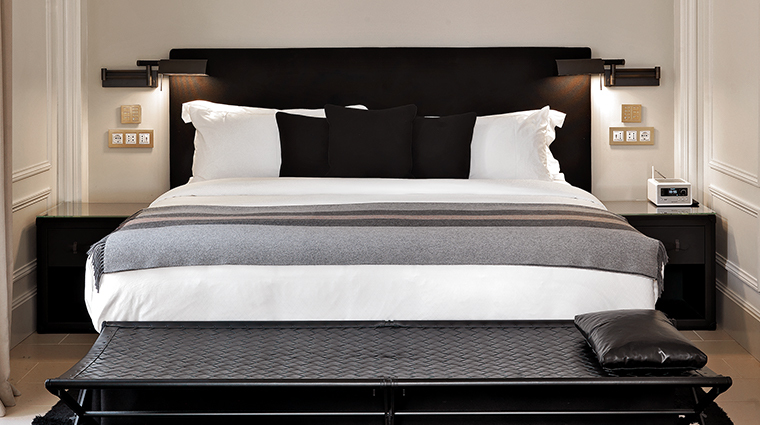 The suites are truly luxurious, in terms of both design, style, and space. The 1,700-square-foot Bottega Veneta suite designed by the luxury Italian fashion house is sleek and contemporary, while the richly adorned, top-of-the-line 3,200-square-foot Royal Suite often houses heads of state, but all suite guests will benefit from a staff of personal butlers who are on call day and night. 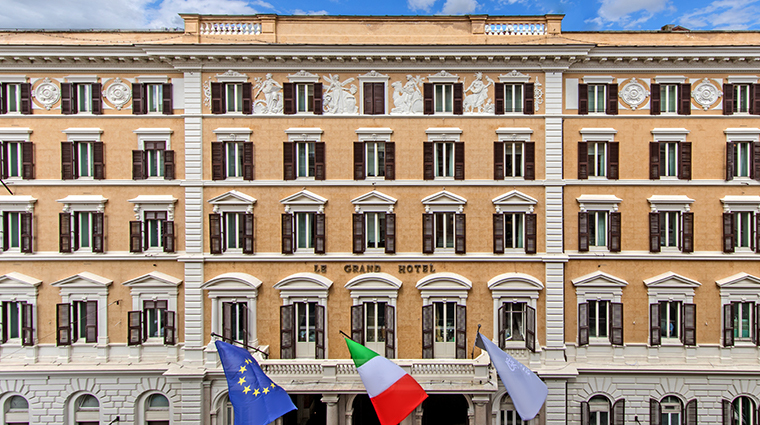 The St. Regis has accessibility to some of Rome’s best sites and is located just off of Piazza della Repubblica, an area known for its proximity to Termini Station, the city’s main railway. 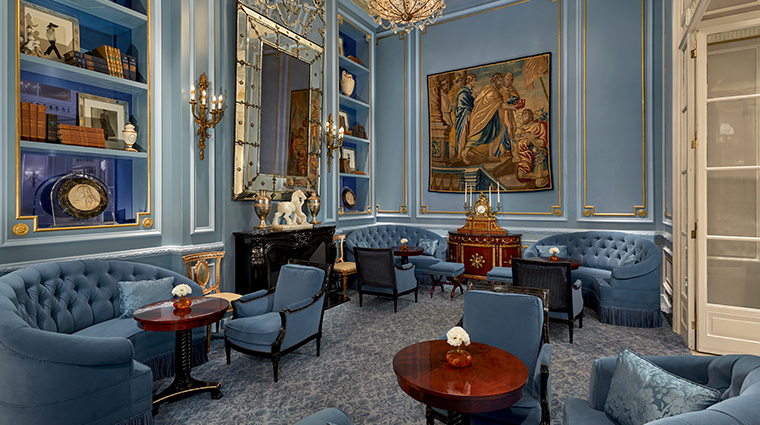 Cozy up in the newly renovated Library lounge, a serene blue-hued space appropriately adorned with a curated selection of books, crystal chandeliers, an ornate Venetian mirror and black marble fireplace. 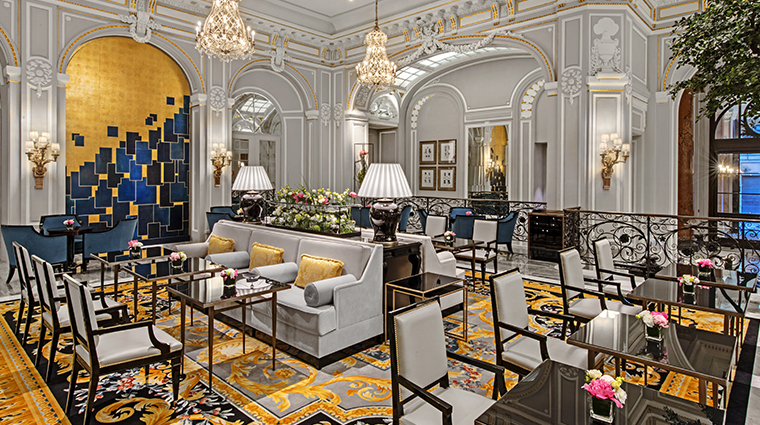 The opulent addition is the perfect place to sip afternoon tea or an evening glass of vino. 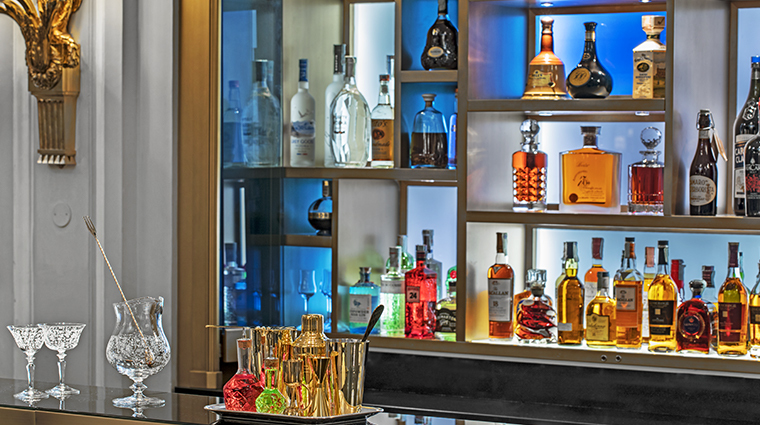 Savor local flavors when you dine at The St. Regis Rome's new lounge bar, Lumen. 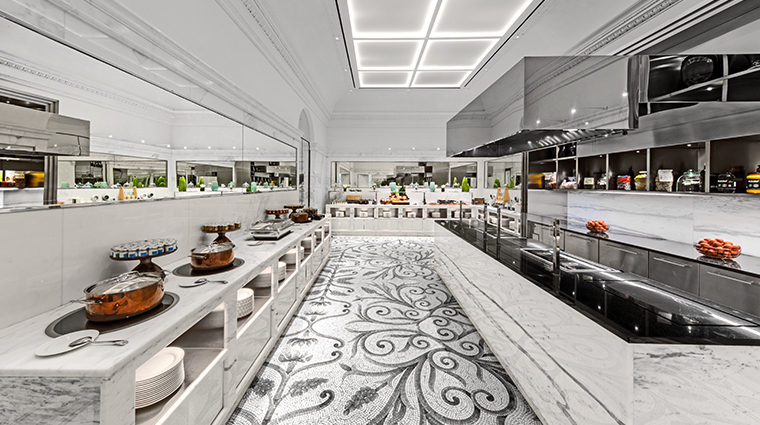 The chic, convivial space provides an opulent perch from which to enjoy Mediterranean plates, like fresh caprese salad, tortello stuffed with ricotta cheese and sea bass, or beef fillet with green pepper sauce. 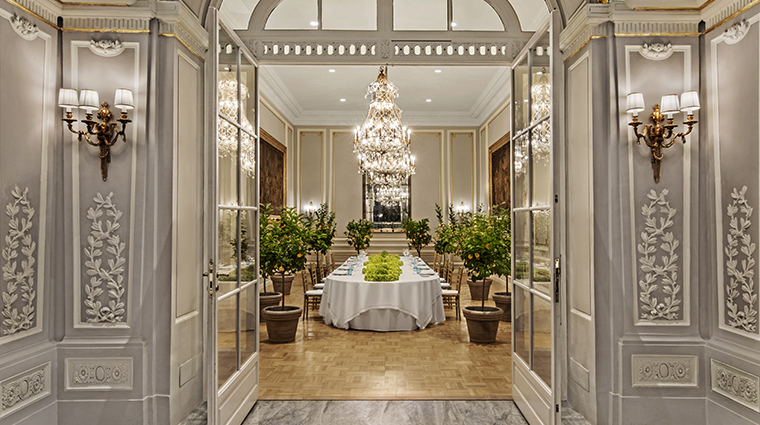 After 120 years of entertaining regal guests such as Italy’s Queen Margherita and rock-n-roll royalty The Rolling Stones, the luxury hotel continues to excel at hosting diplomats and celebrities of all sorts — there’s even a private red carpet entrance, elevator and foyer for top VIPs. 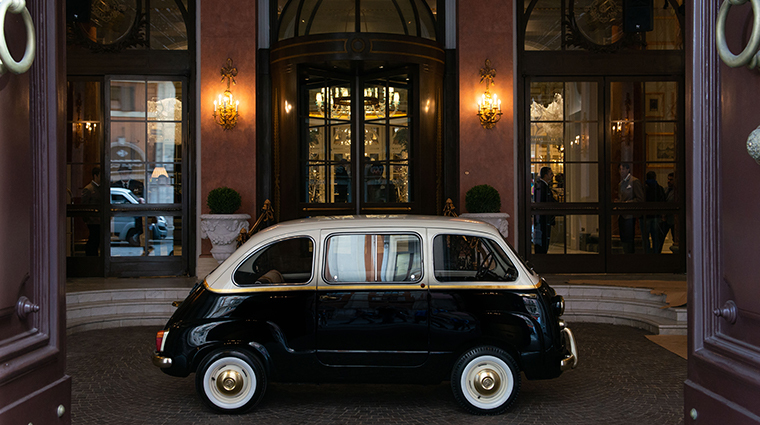 Guests may not have much need for transportation, as there are some excellent historical sites and shopping within a five minute walk of the luxury hotel, including the ancient Baths of Diocletian, Santa Maria della Vittoria (a church), the Fountain of Moses and Via Nazionale, a long avenue buzzing with shops. 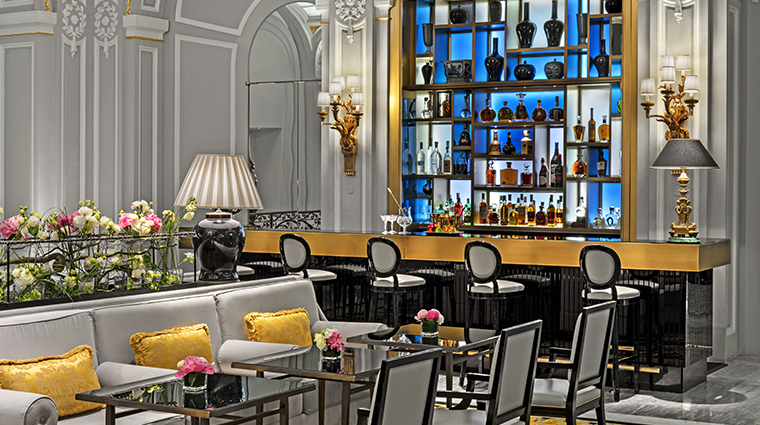 A permanent collection and rotating exhibits of artwork by contemporary Italian artists grace the hotel’s walls. 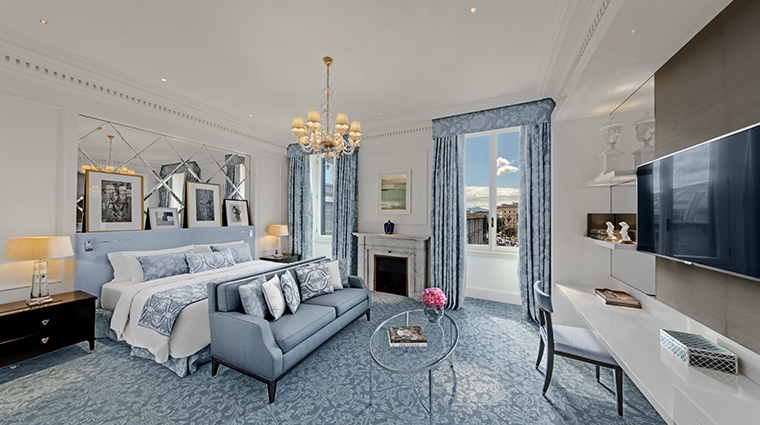 Grand and gilded, the 138 guest rooms and 23 suites coincide with the sumptuous design scheme of the common areas. The refreshed spaces feature one of two locally inspired color palettes: the clean powder blue of the city’s vibrant skies, or the warm terra cotta of weathered Roman walls at sunset. 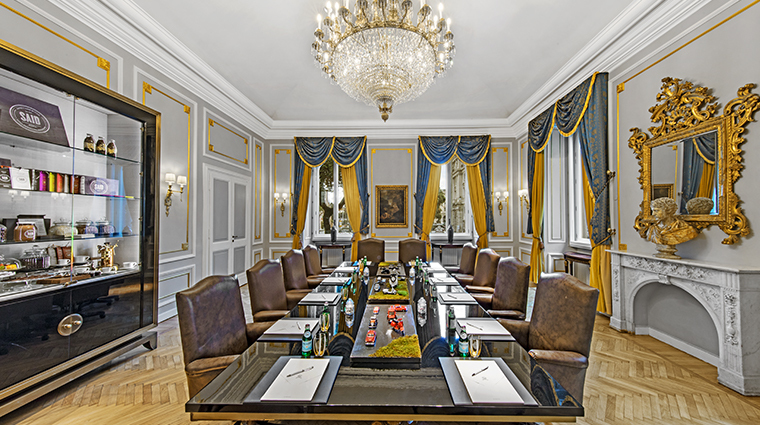 Rooms have a unique combination of Empire, Regency and Louis XV décor, accented with frescoes, tapestries, damask fabrics and large picture windows. Inspired by the ancient Baths of Diocletian nearby, the bathrooms are covered in warm travertine or black Marquina marble. 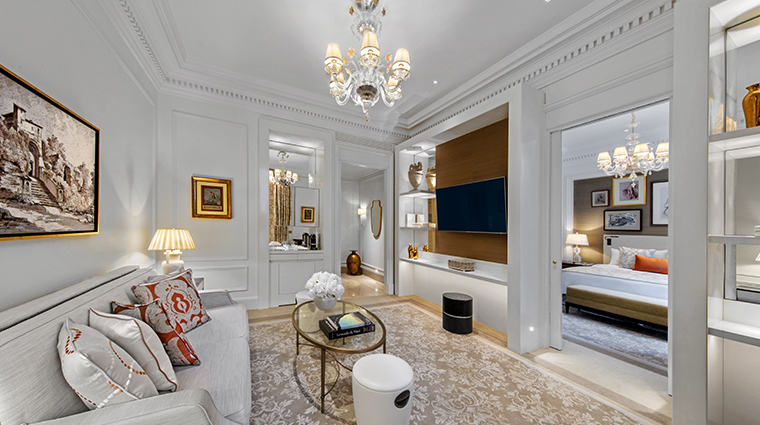 Many offer terrazzo floors and elegant mosaic accents, but all include deep-soaking tubs and Remède products (a St. Regis signature). 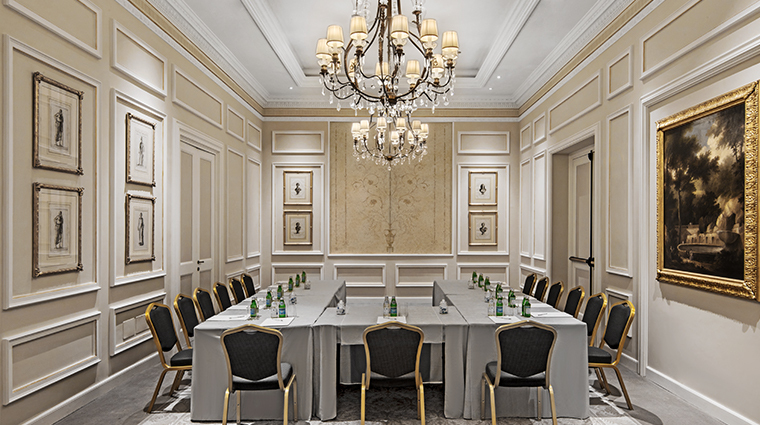 The recently refreshed hotel has the appearance of a Renaissance-era palazzo brought into the 21st century. Step into the Pierre-Yves Rochon-designed lobby to marvel at its centerpiece: a 16-foot-tall Murano glass chandelier. To keep the richly adorned lobby feeling airy and modern, the new design features a calming grey color palette on the walls, accented with white moldings and plenty of natural light. 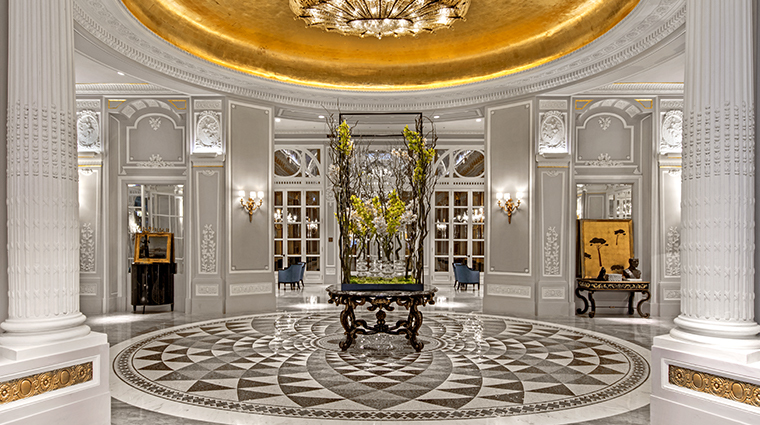 Nods to The St. Regis Rome's historic location are everywhere, from the fluted columns in the entry to the travertine floors, bronze accents and plush gold and black carpets in regal patterns inspired by Roman tilework. The opulent ambiance is further enhanced by the magnificent sculptural busts, mosaics and curated objects d'art found through the property.